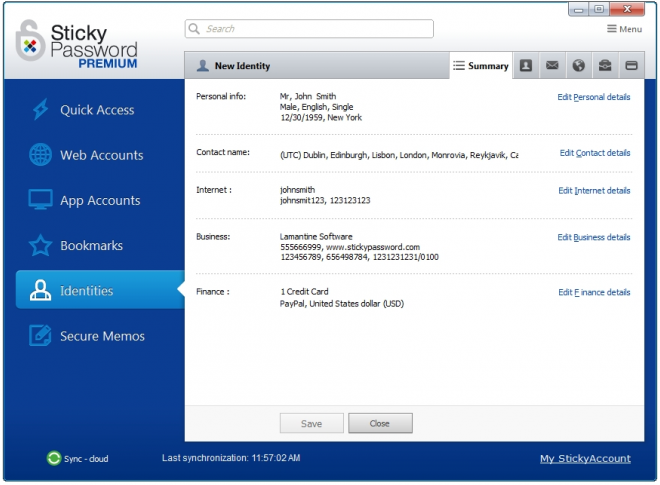 After the activation is applied, Sticky Password Premium can be used for 12 months. The offer is valid for 7 days from the date of writing the post. The offer of the Bitsdujour website will end on May 16, 2019! Offer valid for new and current Sticky Password users. You get an annual license for 1 user only for home use. The license can be used for all your devices, including computers, laptops, smartphones and tablets. Free updates and technical support are available for the duration of the license.